Have you downloaded a recently released movie or music without paying for it? Is this ‘stealing’ according to Islamic law? Shaykh Abdullah bin Hamid Ali provides a detailed response to this question! 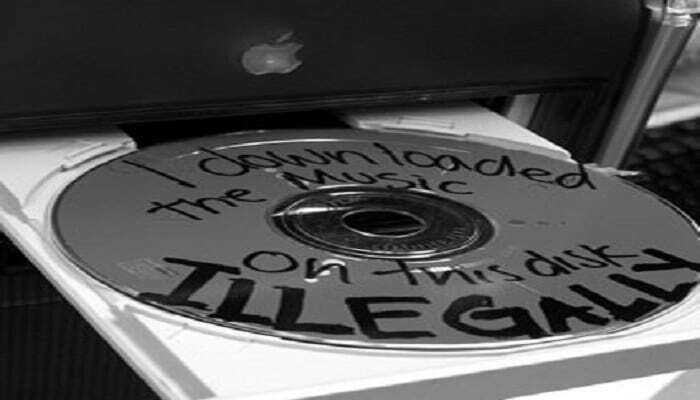 Is downloading material, like movies, games, music and books, illegally considered stealing? And is a person justified to purchase a copy of a video game much cheaper than the original copy? Before answering that question, it is important to define a few different types of stealing as envisaged in the Islamic law, since there exists numerous forms of stealing. The first is theft (sariqa). Theft in the Islamic law is defined as the taking of wealth in secret from a guarded place or container. Another form of stealing is extortion (ghasb), which is defined as the wrongful and forceful taking of another’s wealth. A third kind is misappropriation (ikhtilas or khulsa), which is defined as the undetected swift seizure of wealth from another. Only the first kind of stealing, sariqa, subjects one to the punishment of severance of the hand with the condition that the wealth stolen reaches a minimum value threshold (nisab) and is witnessed by two upright witnesses. As for wealth which is subject to theft, the Islamic jurists have concluded that there are two forms of wealth that any given person can own i.e. an item’s corpus or its usufruct. In other words, an item is valued for what it is itself, like gold, livestock, produce, land, and homes. Or, it is due to the utility it offers and benefit which can be taken from it, like the leasing/renting of an apartment, DVD, or tuxedo. So, whoever owns the corpus or usufruct of an item is deemed to be that item’s owner or the owner of its usufruct respectively. Hence, anytime the corpus or usufruct of that item is taken from them unlawfully, the one taking it away is deemed to be a thief or one who has stolen the owner’s property. As for intellectual property, like music, movies, and books, posted in digital format on the internet, since these forms of wealth do not easily fall within either one of the classical forms of personal wealth once they become available in mass form, it is difficult to give a simple answer to the question of whether or not downloading such things in unauthorized fashion constitutes a form of stealing unless we first equate “copying” to “unlawful taking” of property. One factor that makes this analogy confusing is that the owner of the original work suffers no direct loss from his/her property being copied as is the case in conventional forms of property, especially if the copier chooses not to resale the item on the black market. This factor is considerable except that it could be claimed that this constitutes a form of misappropriation (ikhtilas). The latter consideration could further be strengthened if we accept the dominant assumption that each individual copy or unit of the intellectual material is deemed to be the property of the individual who originally produced it, making it unlawful to acquire by illegal means. This claim is much easier to adjudicate when the property is an original work of the producer. But, the issue becomes more complicated once we apply this question to the reproducers of medieval works reconstituted from ancient manuscripts, like the Sahih of Bukhari or other scholarly works. In other words, can a publisher be said to own the sole right to copy a work written by a deceased author who did not give them authorization to copy, print, and publish their work? Would not the very act of copying and publishing that written work without permission from its original author be precisely the violation that the company may be accusing the downloader of the digital material to be guilty of? Be it as such, if one was to argue that the earlier scholars did not believe in copyright or could not conceive of them or because religious knowledge cannot be copyrighted, that would undermine the actual argument for those who argue for copyright protections of such published works, since it could legitimately be argued that if religious materials cannot be copyrighted or if the original authors did not accept or conceive of the concept of copyright, the copier or digital downloader is not then guilty of violating any religious injunction. This is significant. However, I, personally, believe that publishers and authors of critical editions of works have a strong argument to make in defense of copyright in that the amount of effort it takes to produce these books for the benefit of the Muslim and non-Muslim public deserves both commendation and financial reward. Why? It’s because the work of authenticating and verifying the correctness of ancient works is a major and much needed contribution to the overall enrichment of Muslims and their non-Muslim counterparts. It is also because if the publishers discover a mistake in their printed version even after authentication, they are the best positioned to produce a revised version of that particular work. This is different from simply grabbing the first manuscript and then publishing it without considering the possibility of both typographical and substantive errors found in the original work or even if the work can be legitimately ascribed to its author. The authentication process is an enormous service to the Ummah, and those who undertake such monumental tasks should be rewarded for their effort and due diligence, and publishers should be rewarded for helping make those teaching available to the masses if not for any other reason than to continue similar future efforts and projects. Unless we fund our projects, we will have subpar and substandard scholastic materials. And if the materials are subpar, our Islam will likely reflect that as well. At any rate, in returning back to the original question of whether or not downloading these materials from unauthorized sources is unlawful, it would seem that if we accept the characterization of every unit of a given commodity regardless of its ubiquity to be the exclusive property of its original producer, then copying it without authorization might be tantamount to stealing constituting a form of misappropriation of wealth. The only caveat is that a copy and an original are two distinct corpuses. That fact taken, it can be argued that no violation has been committed through the copying and downloading of the copy, as opposed to the original. When the copier takes the further step and resales the commodity on the black market, however, thereby disrupting the ability of the original property owner to at least reclaim his/her expenditures and potentially develop the capacity to do similar future projects, I believe that this is the epitome of injustice insomuch that the copier is able to exploit the diligence, creativity, and financial sacrifice of the original producer to enrich himself without much effort at all. It is a way of enriching one’s self without any true investment in the same way that usurers enrich themselves through the exploitation of their debtors, and slave owners through the exploitation of the services of slaves. As for the argument that $100 for the payment of an xbox game is a form of wasteful spending (israf) justifying the purchase of a cheap copy, that is a very weak argument to make, firstly, because the playing of an xbox toy can be considered a waste of time, which is equally prohibited in Islam. Secondly, it is because an owner of property has the right to sell his property at any price he chooses. As long as the buyer is willing to pay the suggested price, there is no injustice done. If another person cannot afford to pay, he is expected to live within his means. If the item being copied is an original work of an author, publisher or producer, copying it for personal benefit is not tantamount to stealing, since a copy is distinct from its original. If the item being copied is not an original work of the publisher or producer, but is a critical edition of it, I, likewise, believe that it is lawful to copy it for personal benefit for the same explanation provided above. I, however, believe that original works need to be purchased in this case, since it aids the producers to continue their useful work. If the item is being copied with the aim of resale, it is unlawful to do so, since this is tantamount to exploitation of another’s property and services to enrich one’s self without an intellectual or financial investment in that project.